Children of all ages should be taught the basics of programming, at the least. But not just children, everyone should be introduced to coding. Our society has become more reliant on computers and modern technology. It makes sense to understand the language on which all software applications are built. When Apple introduced Swift in 2014, the goal was to offer a clean, and simpler alternative to Objective-C. More importantly, they wanted Swift and iOS development to be accessible for everyone. “Swift is powerful but it’s also simple and approachable,” says Tim Cook. Accessible it certainly is. Developers have created Over 100,000 apps with Swift, including Twitter, Uber, and Lyft. Apple and Swift have also seen a lot of support from schools and classrooms, where teachers are trying educate their kids on programming. Keeping Cook’s promise, Apple recently announced a platform that will continue that trend. 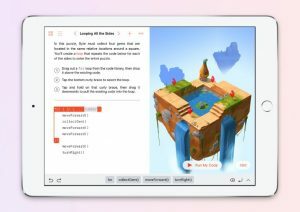 Swift Playgrounds is an app, for the iPhone and iPad, that will teach children – and adults – how to code. Apple demoed the new platform on stage at WWDC, showing how lessons in Playgrounds work. One of the demo lessons had users learning how to manipulate weight, gravity, and size using code. This was done during an emoji-stacking game. As players made changes to the code, it would change how the game behaved and operated. There are lots of little interactive lessons like this to teach folks how to code in a fun, intuitive way. The idea is to spice up the experience, by making it a bit more interesting than just reading a textbook. Plus, the Playgrounds interface takes full advantage of the mobile device features. For example, on the iPad, you can use multi-touch to organize and shift components. It’s more than just shifting visual components too, you gain access to a true drag-and-drop coding interface. Playgrounds includes a custom keyboard that adds hotkeys for commonly-used functions and symbols. The virtual keyboard for Apple devices simplifies the entire coding process. Of course, Playground creations can be exported to Xcode, the standard dev environment for iOS. The good news is that Swift Playgrounds is available already to developers in a preview build. It will be available to everyone else (a public Beta) in July. The final release is set for the iPhone and iPad to coincide with the iOS 10 update, coming in fall 2016. 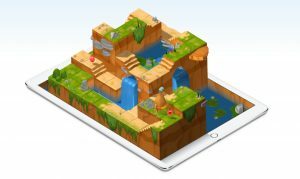 Swift Playgrounds may be a fun way to learn to code but don’t forget that we have a full tutorial available too! Head on over to our tutorials section to learn how to get started with Swift. Thanks For Sharing This Type Of Information..!